Started in 1929, the Zilker Kite Festival is a staple in annual Austin events and celebrates the beauty of the homemade kite. It was created by The Exchange Club, a volunteer organization that raises funds to support non-profits that work to stop child abuse. The event takes places on the first Sunday each March and is a great outdoor Austin attraction. The 2018 Festival took place on March 4th. In 1936, the Exchange Club teamed up with the City of Austin Parks and Recreation Department to move the festival to Zilker Park, which has been its home ever since. It is still co-sponsored by the two groups. The festival is free and open to the public and is a huge hit with Austin families. If you didn’t make a kite before the festival, don’t panic; there is a field kite workshop at the festival where you can create your own. All of the materials are provided for you and it is guaranteed to fly. You'll be glad you made one during the mass ascension when all the kites in the park go up together. If you thought kites were boring, this festival will convince you otherwise. Each year there are demonstrations by professional kite flyers all throughout the day of the festival. There are kite battles, kites choreographed to music (both alone and in groups), kite buggies, and massive kites ranging from 40 to 90 feet in size. The most anticipated part of the Zilker Kite Festival is all the contests. 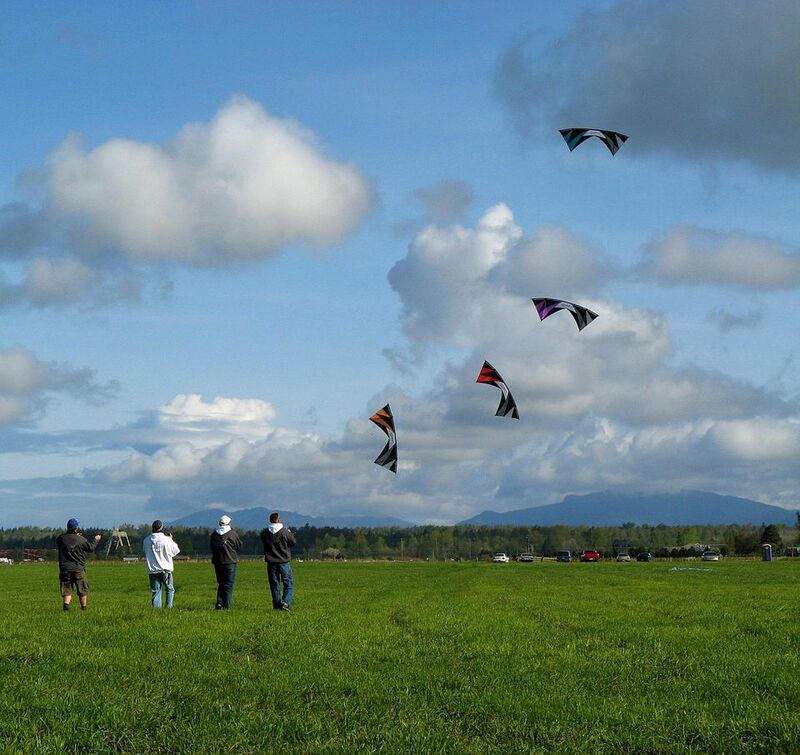 The kites must be homemade, and there are competitions for the most unusual, smallest, largest, highest angle, steadiest, strongest pulling, and best kite train. The contests are divided into two categories; one for youth (up to 16 years old) and adult (16 and up). The is also a 50-yard dash contest for children aged 7 to 12. The first, second, and third-place winners receive trophies for their valiant efforts. Visit the ABC Kite Fest website for information on the next festival.